In the US, the practice of racial segregation took two forms: de facto segregation and de jure segregation. Let’s learn the difference between the two. De facto segregation is racial discrimination that is not mandated by law. It is brought about by individual preference, prejudice, and social norms. The Civil Rights Act of 1964 ended decades of segregation, but de facto segregation continued. Despite its practice being outlawed, blacks were still expected to sit at the back of buses. They were to stand at the side of the road when boarding buses to make room for whites. So-called “separate but equal” establishments were still in operation. 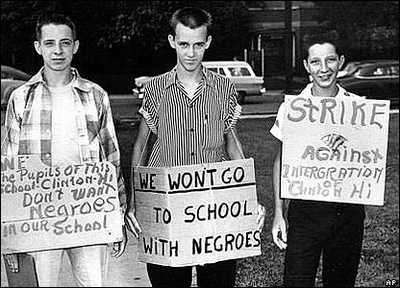 African-American students still suffered harassment in public schools all over the US as whites perpetuated de facto segregation. Neighborhoods were no longer segregated by law. However, social and financial expectations prevailed as economically challenged blacks were concentrated in ghettos, separated from whites in affluent, sometimes gated, communities. De jure segregation is racial discrimination enacted by law. An example is the Jim Crow laws which suppressed the rights of African-Americans and segregated them from the whites. Blacks were forbidden to marry outside their race. There were drinking fountains meant only for whites. Schools were segregated and there were no schools that had both black and white students. Even a student living close to a school legally designated for another race would have to look somewhere else. It was common for blacks to go to older school buildings with fewer resources. Teachers in mixed-race schools were also paid less than those in white schools. Native American Indians, too, were subjected to some form of de jure segregation. As the government seized their land, they were forced to live in reservations. These reservations were considered quasi-sovereign nations. This was a way of separating the Native Americans from the white population. So what’s the difference between de facto and de jure segregation? De facto (i.e. by fact) segregation is the practice of racial discrimination which is not mandated by the government. In contrast, de jure (i.e. by law) segregation is racial segregation enforced by law. In de facto segregation, blacks were still made to make way for whites in buses and other public places. The existence of “separate but equal” establishments pervaded even after the abolition of segregation in 1964. 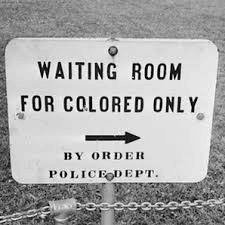 The Jim Crow laws are an example of segregation made lawful. These were enacted in the southern states during the 1870s. These laws prohibited blacks mixing with races other than their own. They also prohibited blacks to own farm lands that could directly compete with farms owned by whites.